Mercure London Bridge is a flagship Mercure hotel located in the centre of London. Enjoy famous nearby attractions such as Borough Market and the Shard, whilst being surrounded by nearby shops and art galleries. On entering this charming hotel, you’ll sense its unique atmosphere, making you feel at home. Every detail in the hotel has been carefully considered with your comfort in mind. Experience the hotel restaurant, Marco’s New York Italian, courtesy of celebrity Chef Marco Pierre White. Boasting six modern, flexible and fully-equipped meeting rooms, the hotel can accommodate up to 80 delegates. All rooms feature modern technology, benefit from natural daylight and can be set up in line with your individual requirements. The hotel’s modern styling and interior throughout its bar, restaurant and public areas also provide ample opportunity for delegates to relax. Guests to the hotel can also enjoy comfortable accommodation in one of the hotel’s 144 en-suite bedrooms while taking advantage of the hotel’s facilities including the on-site gym. 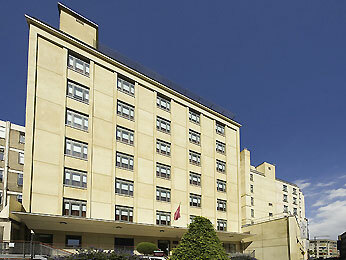 Its central location also means the hotel is an ideal base for travellers to the capital.